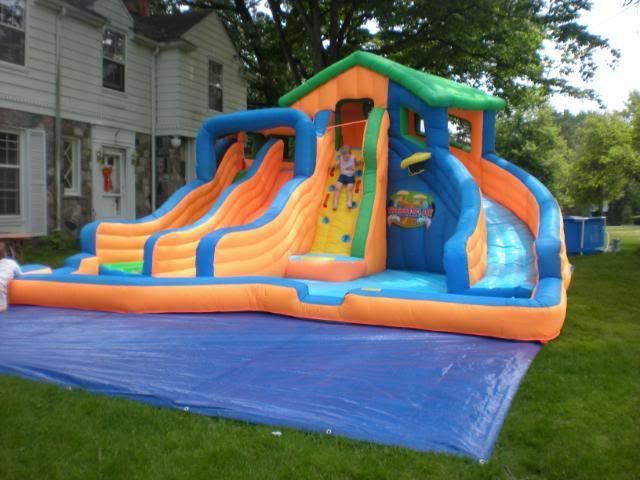 JustMommies Message Boards » Mommies Like You » Large Families » Inflatable Water Slides? Anyone have one? Any that you recommend? I was torn between getting a big slide or a pool pass. Both will run about $400. I am a little nervous to take all 4 kids to a pool by myself, so I figure a slide will get more use. I like the wading pool area for the baby and the curves seem more fun than the straight but I have never used one or seen one up close. We can still take the kids to the lake or do a one day pool admission when I have a therapist or DH with me on the weekends, so they will still get their share of swimming. I also have YMCA credit for 3 kids to do swim lessons this summer. So I hope the slide is the right choice. Let me know if you think I'm wrong. I hate to spend the money and feel like I picked the wrong thing. But even with Life jackets and life guards, a busy pool freaks me out when I'm solo. I think it sounds like a great idea! Its less of a hassle then dragging everyone to a pool etc all the time. Post pictures if/when you do buy it! I've seen them, and I think they're cool, I can totally see why you got one. I totally agree about not wanting to take your LO's to a crowded pool by yourself, I wouldn't do it either. We do have a giant inflatable slide, we got it 2 years ago. It has been out/used once. It's too heavy for me to get out by myself, so make sure you check the weight out before you choose one. Also get a tarp to put underneath it, that helps to keep it clean for storage. Maybe I'll have dh drag it out again if it's nice enough (and he's home) for memorial day weekend.....Of course that's about when I'm due so we'll see. Here's a pic. if it works. 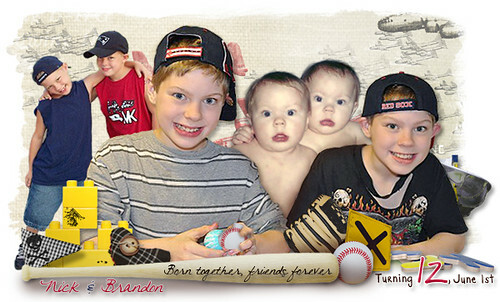 Last edited by ~mommy~; May 16th, 2011 at 07:23 AM. My yard isn't big enough for one of them, but I always wanted one! My kids just have to make due with a slip&slide. OMG that is Awesome! Did you try it? Did your DH try it? If we get one it will be about half that size. Good point about the tarp and how heavy it will be. 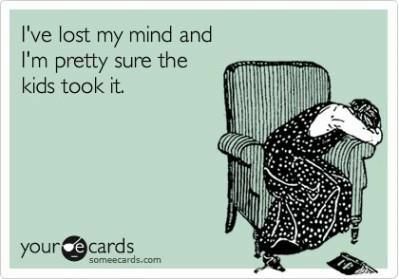 My DH isn't traveling much anymore so I could get him to help me in the morning if I want to use it that day. We have a bounce house so I imagine a tall waterslide with wading pool will be much heavier. Dude! I want one of those! How much did that cost? But I'm thrifty so we had it in layaway at Toys R Us while we were making payments on it it went on sale PLUS it came with the pool you can sort of see behind it, it was a special deal, free gift with purchase. Then on top of that we had bonus/rewards points from our bank and as luck would have it, one of the choices was gift cards to Toys R Us so we got as many of those as we could. All told we were out of pocket for maybe $300-$350 for the slide PLUS the pool. That looks awesome. Personally, that's what I would do. We don't go to the pool because I'd have to drag all the kids there, plus it's expensive.